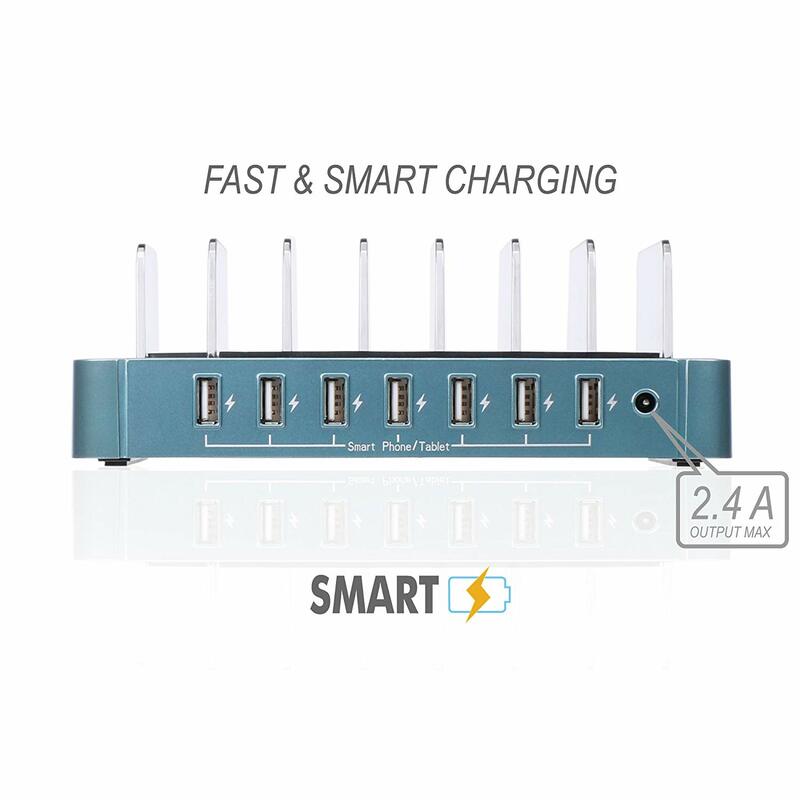 ✔SMARTFLOW TECHNOLOGY - 2.4A Max output and equipped on all 7 ports with Smart IC to deliver the maximum optimal charging speed, up to 63% faster than regular ports. 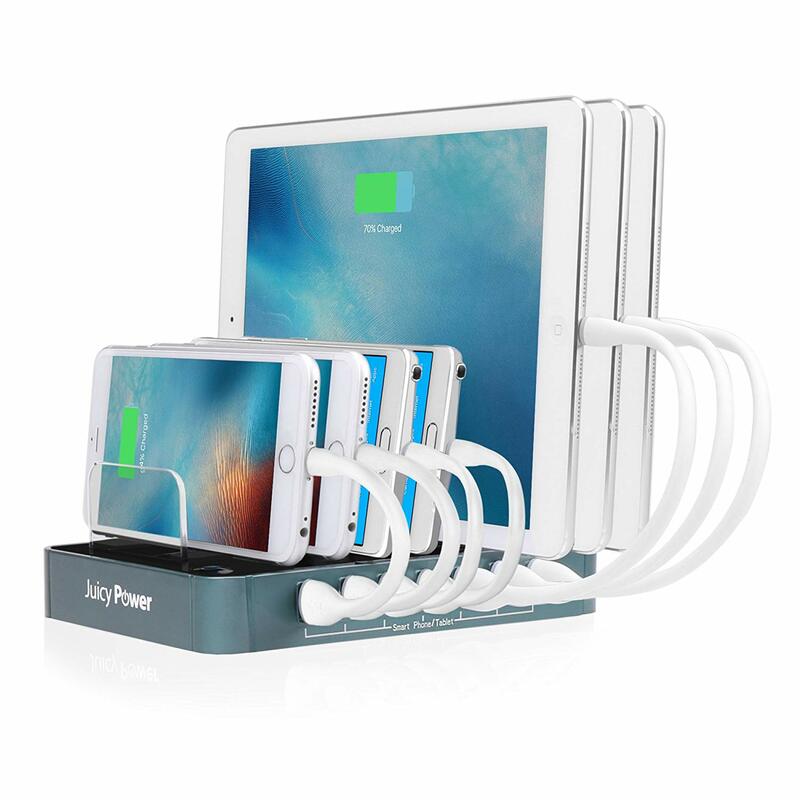 ✔CLUTTER-FREE CHARGING - Charge the devices, even with the cases on, while they rest securely in the silicone padded anti-sliding slots, to free up your desktop from cable tangles and clutter . 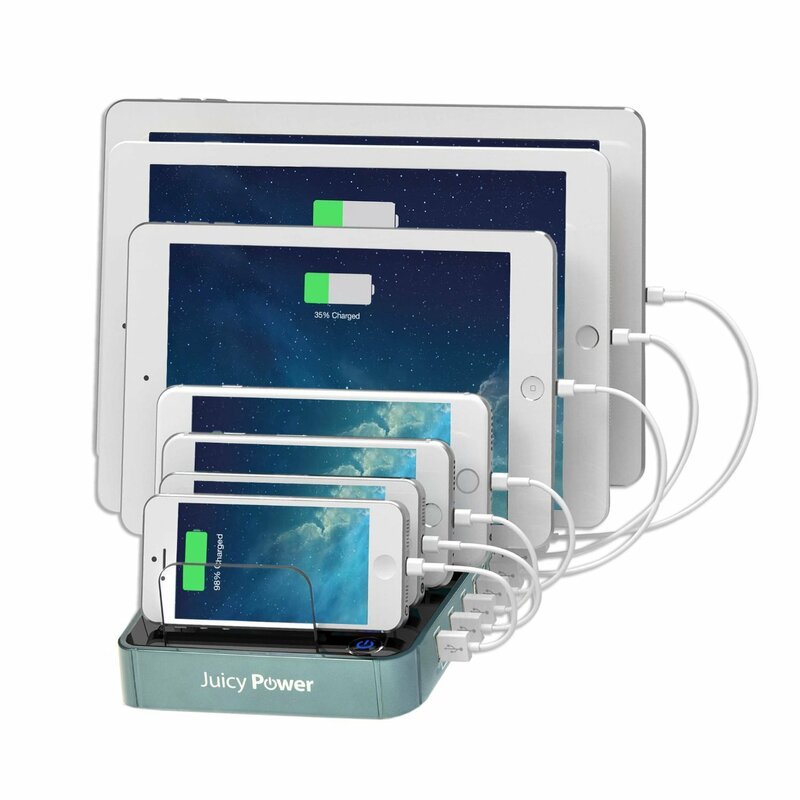 ✔SAFE CHARGING - Multiple level of protections against overcharging, surges, and overheating, and compliant with FCC, CE, and UL. 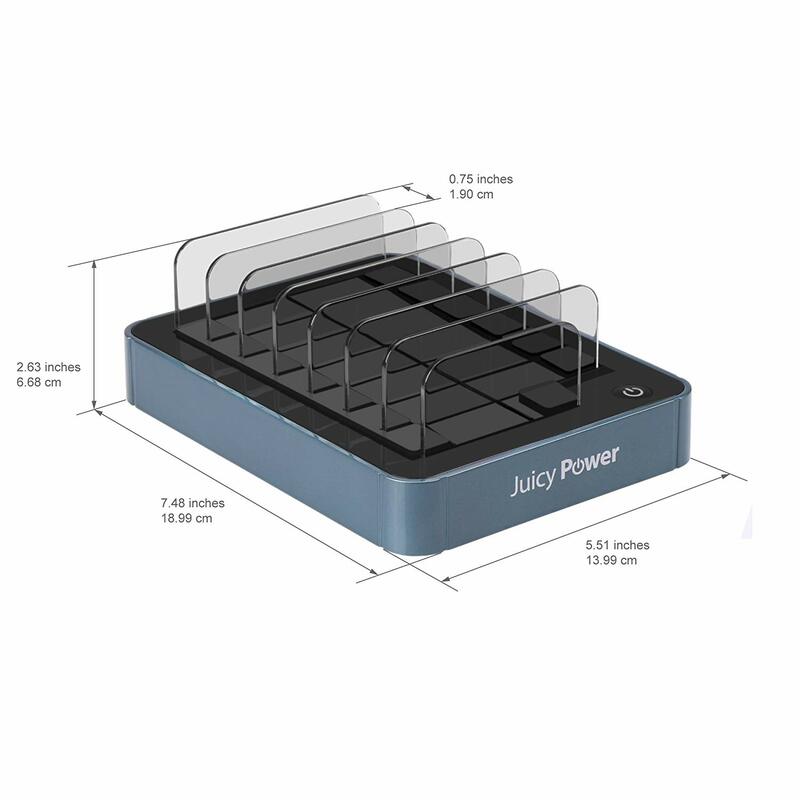 On/Off power switch integrated to provide extra safety. 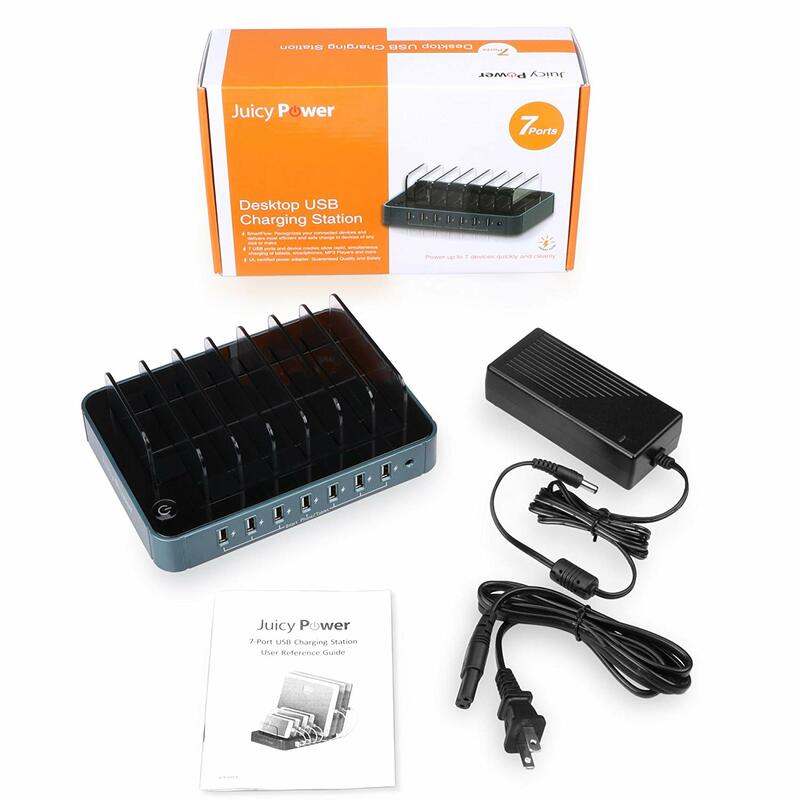 ✔OUTSTANDING CUSTOMER SERVICE - The AVLT-Power difference: package includes lifetime product support, 30-day no questions asked return policy, and 1 year warranty.